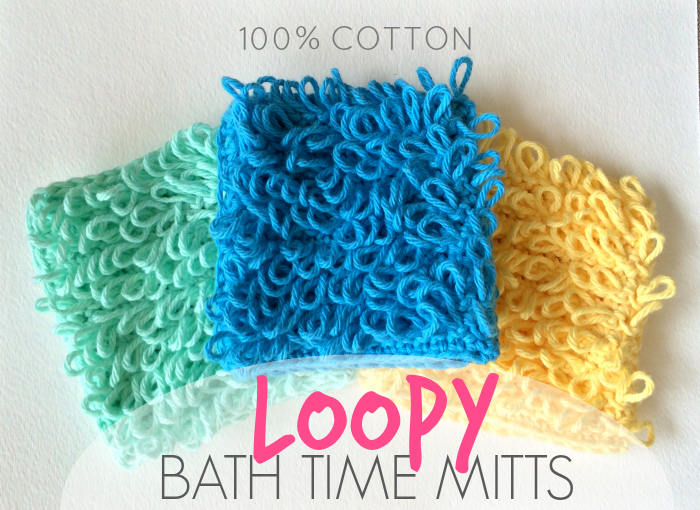 Loopy Bath Time Mitts + GIVEAWAY Winner! Good afternoon friends! I have some exciting non blog related news I would like to share with you today! We adopted a beagle! 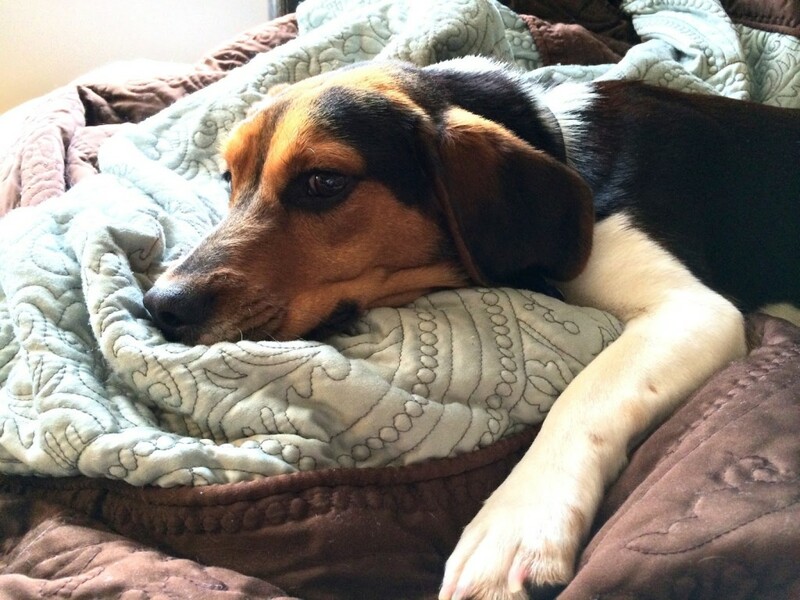 His name is Jake and he’s a rescue dog from the Triangle Beagle Rescue of North Carolina. If you live in the Raleigh area and are looking into getting a little doggy of your own I strongly suggest you check them out! If you’re interested, more info can be found here. It’s a really great organization! 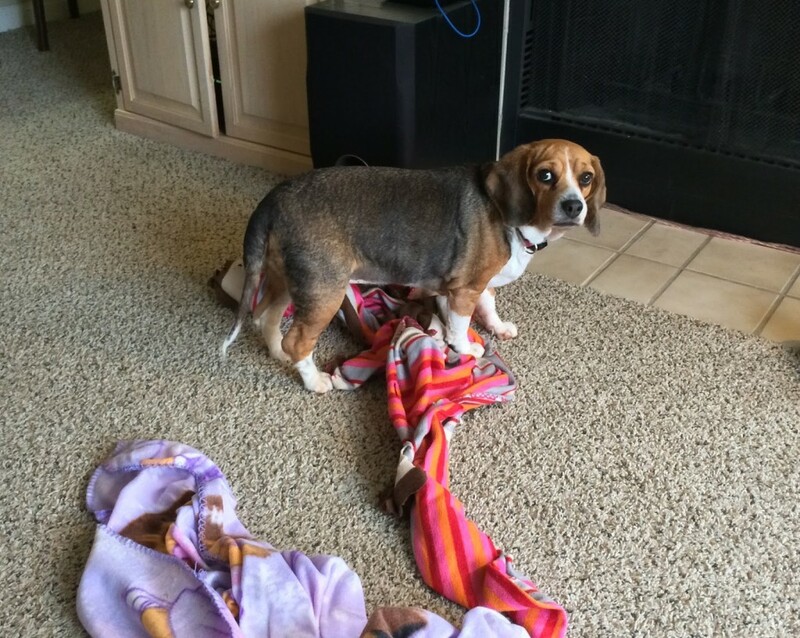 Triangle Beagle Rescue has a thorough application and adoption process that ensures only best and most deserving homes get the privilege to adopt their beagles. They want to make sure their beagles will be loved and cherished forever! Jake was living with a very loving foster family who were sad to see him go, but happy to find him a home. They brought him over to us last night where we finalized his adoption. Jake is a wonderful addition to our little family, we’re so happy to have him. He’s already fitting right in! See…Jake’s been helping me edit photos and write up the post! And Sadie’s just been supervising, haha. 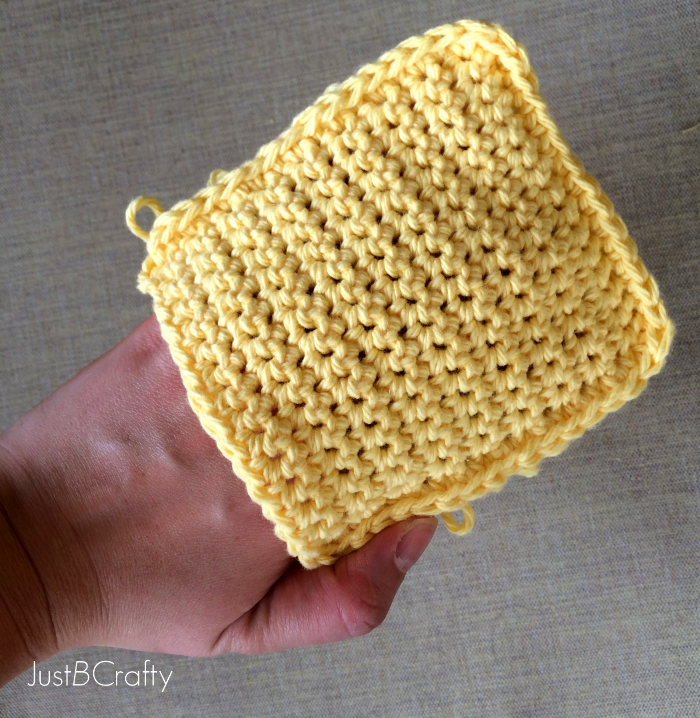 In the midst of all these beagles beagling about, I’ve been crocheting up these Loopy Bath Time Mitts! 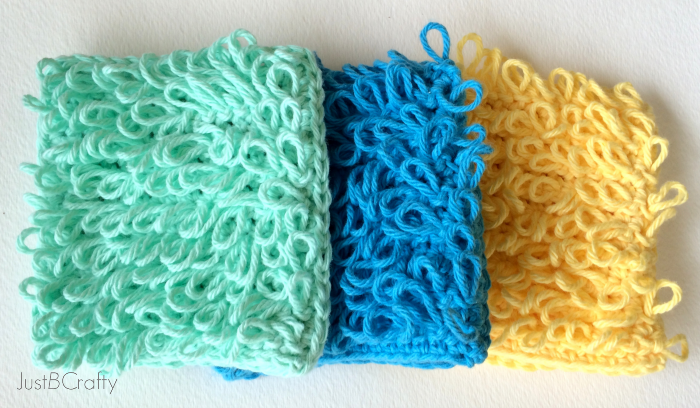 They are crocheted with Lily’s Sugar’n Cream 100% cotton yarn and will be the perfect addition to any bath routine. Great for all ages, these fun mitts feature a loopy side that’s great for building a luxurious lather…..
….And a flat side fit for exfoliating needs. 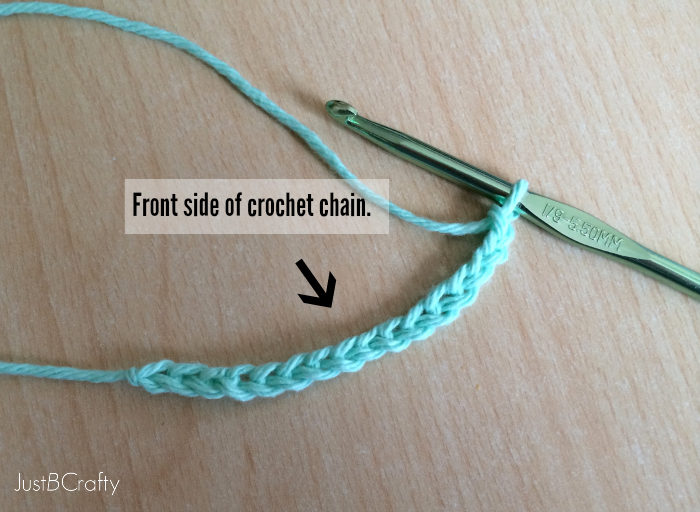 Flip the chain over so the back side of the crochet chain faces up. Notice the bar on the back of the crochet chain, this is what you will be crocheting into for the first row. Row 2: Crochet loop stitch into each single crochet across the row; Chain 1 and turn. 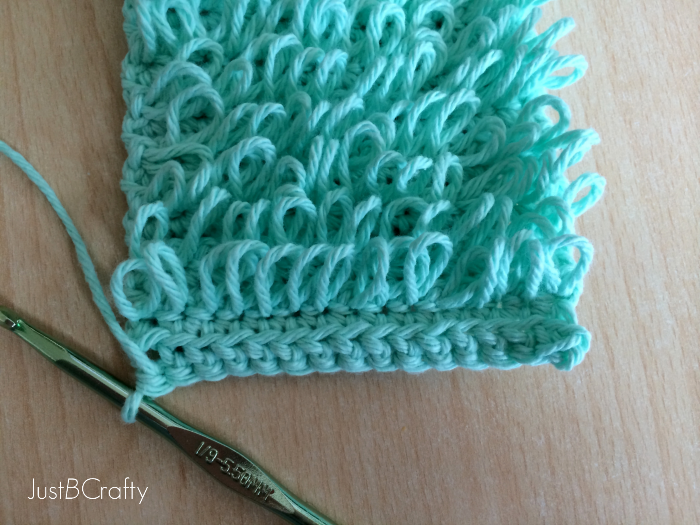 If you are unfamiliar with loop stitch, see the photo tutorial below. 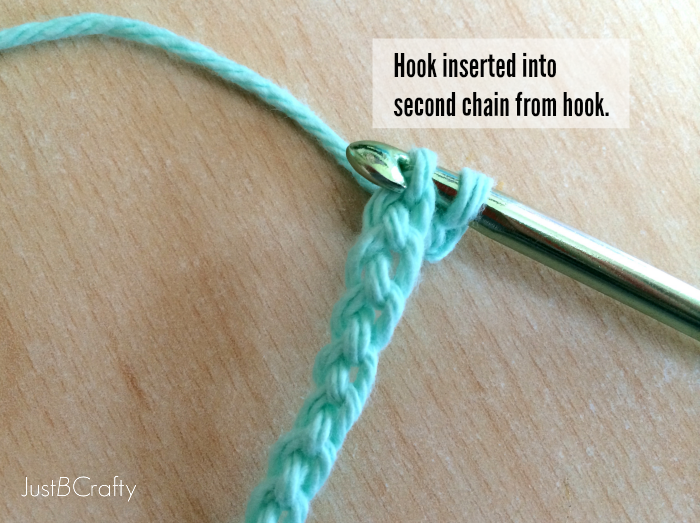 Step 1: Insert hook into the first stitch like you normally would. Step 2: Have working yarn looped around your pointer finger with the hook in front just like I show in photo 2. 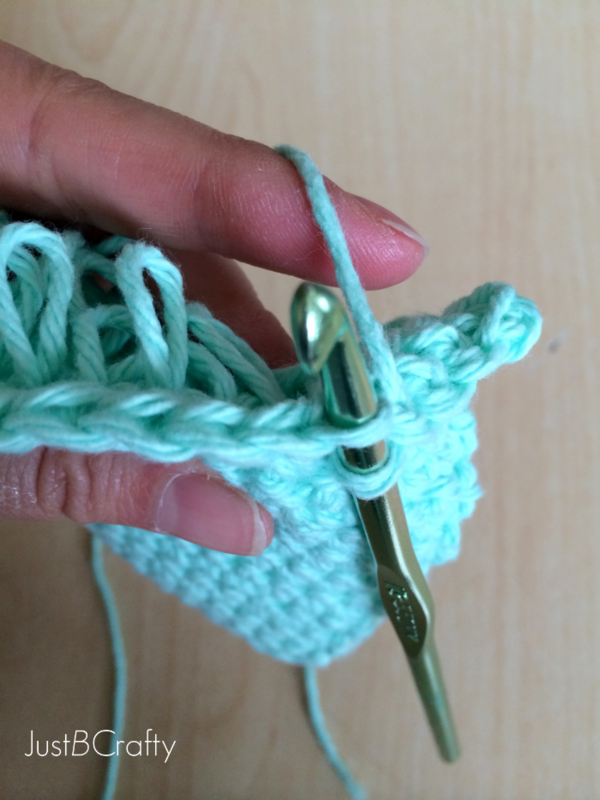 Step 3: Grab the working yarn that is resting behind your pointer finger with the crochet hook. Step 4: Bring the yarn through the stitch. 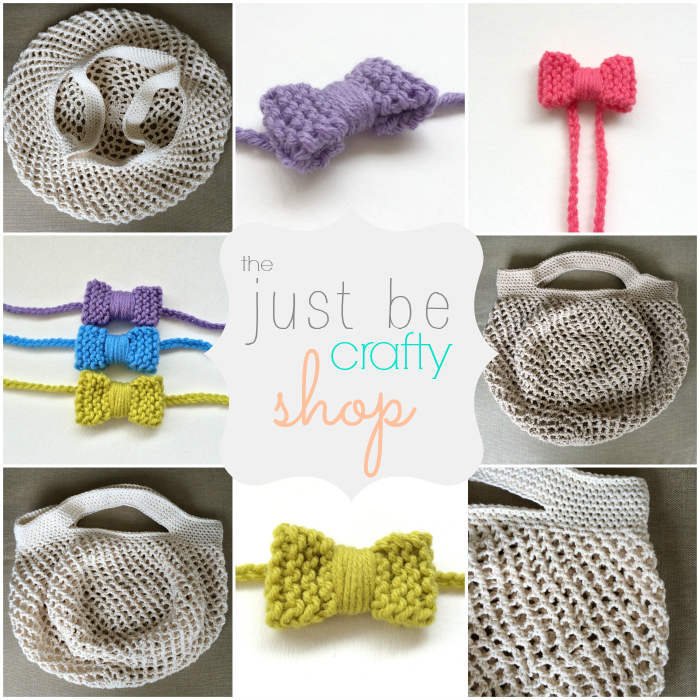 You will now have the yarn wrapped around your finger and two loops on your crochet hook. 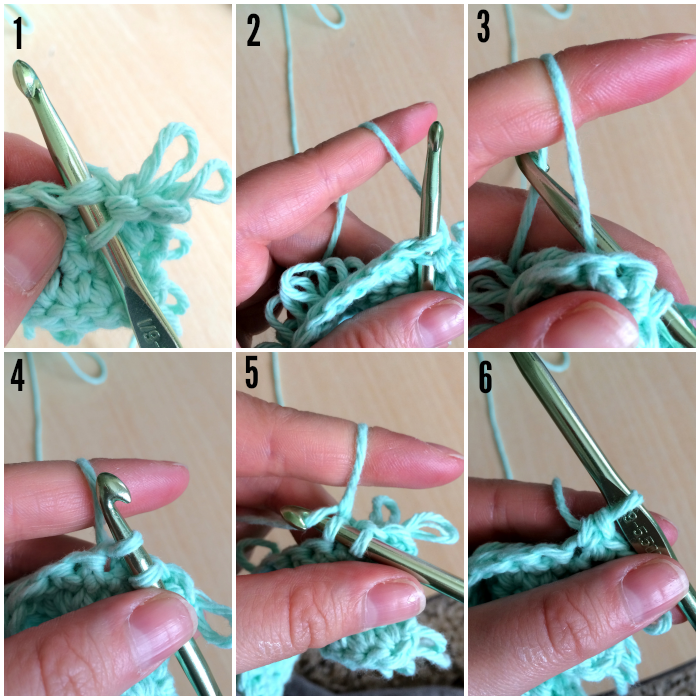 Step 5: Grab the working yarn behind your finger loop with the hook, and bring through the two loops on your hook like your normally would in a single crochet. 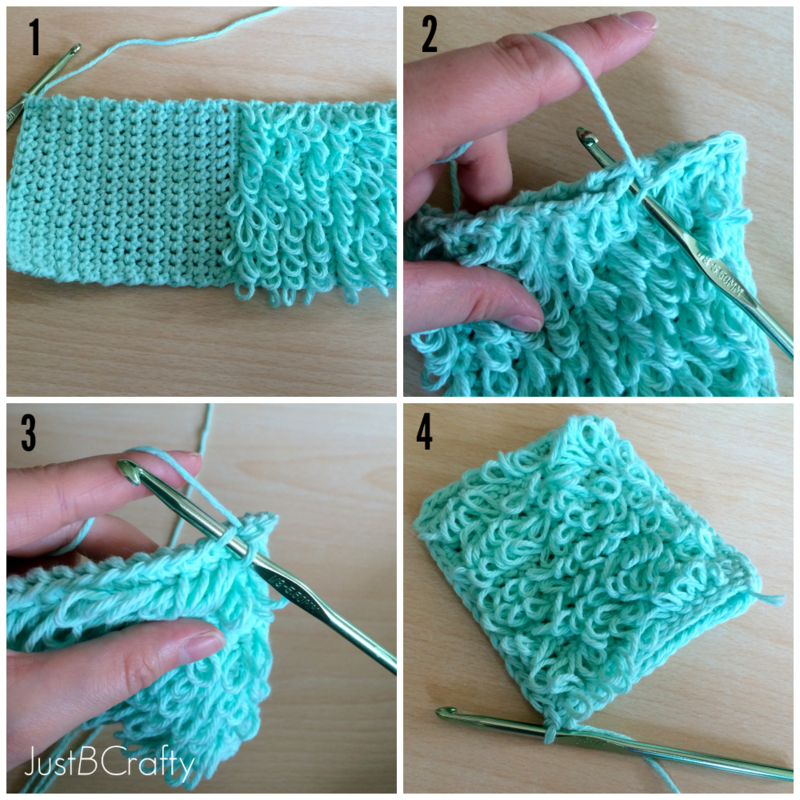 Step 6: You’ve just completed loop stitch! Having a hard time with loop stitch?? See this video tutorial here. **Note: The first row of loop stitch will be super awkward and kind of annoying but I promise it gets much much easier!! Once you get the hang of it, you’ll find your rhythm and it’ll go much more smoothly. Repeat rows 3 and 4 until the piece measures about 4.5 inches. End with a single crochet row. Single crochet across entire row like you normally would into both loops; ch 1 and turn. Continue in rows until the flat side measures 4.5 inches. 1: Crochet piece should be about 9 inches long. 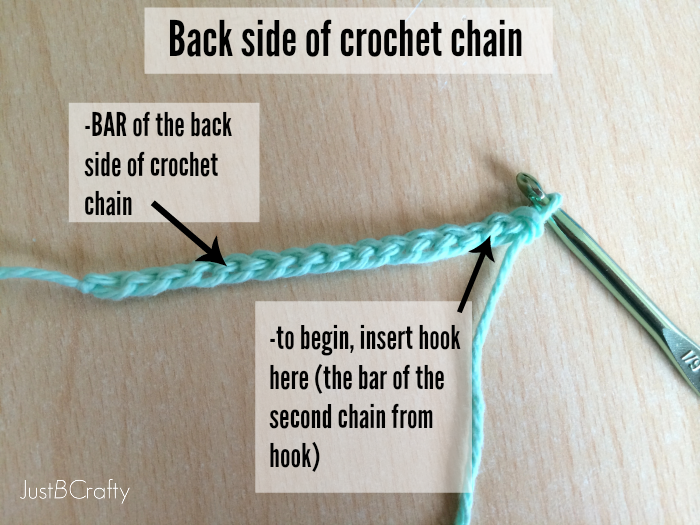 2: Fold piece in half and keeping the foundation end and last row end opened…single crochet in each row along the side of the work, connecting the two halves together. 3: Single crochet across exposed loops of the folded edge. 4: Single crochet down the other side of the mitt. Cut yarn, and secure. Weave in loose ends! Grab your favorite bath gel and enjoy!! 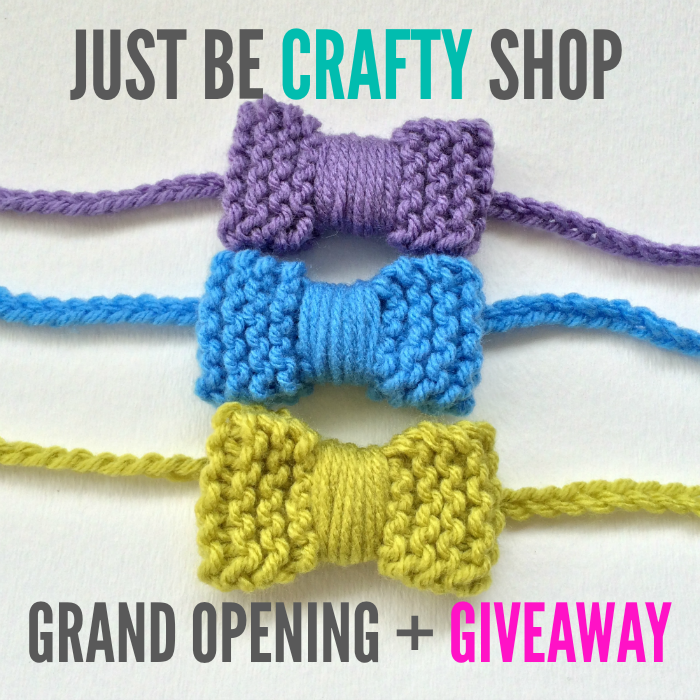 Now I would like to announce the winner of the three Textured Knit Mini Bow GIVEAWAY! Sonnet O’Krane of the awesome blog SohoSonnet!!! She has endless posts of super fun and inspiring craft projects, so go over and check out her site!! Congrats Sonnet! Go ahead and pick out your colors!! Those bath mitts are great!! You are very talented!! Also … Congrats on the puppy!!! It's so great that you got a rescue dog! Nice tutorial! I love the mitts! And Jake is so cute! Love this pattern and will be trying it soon. Pinned. Those are wonderful! Thank you for the lovely pattern- I can't wait to try some! Very cute! I would love it if you joined and contribute your awesome posts at my link party at City of Creative Dreams on Fridays 😀 Hope to see you there at City of Creative Dreams Link Party. I can't even tell you how much I LOVE this pattern. I added it to my round-up at MNE Crafts! Thank you for this cute pattern, Brittany! Congratulations on adopting Jake–he looks like a sweetheart! 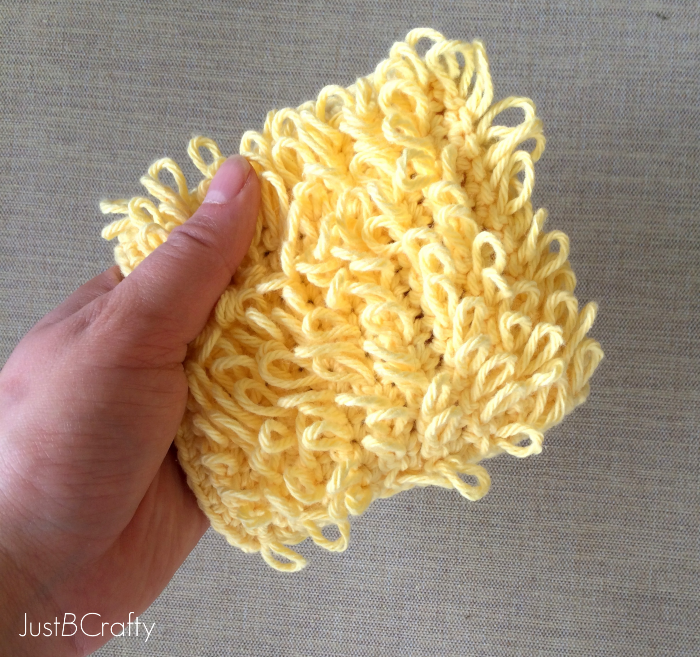 Is there any pattern for knitting the loopy bathmits?